How are you doing today? I hope that the weather is treating you better than it is over here in Toronto. It's a gloomy day that's supposed to be filled with rain but not only that, it literally feels like fall! I had to turn on the heat this morning. :| Will we ever get summer!!!??? *Sigh* Any who I have this lovely polish from Sinful Colors to share with you. I remember when I started really getting into nails and I saw this brand. I wanted to try it but thought that it was only sold in the States. Luckily I went into a Rexall and found out that this is where I could purchase this brand! Let's take a look! 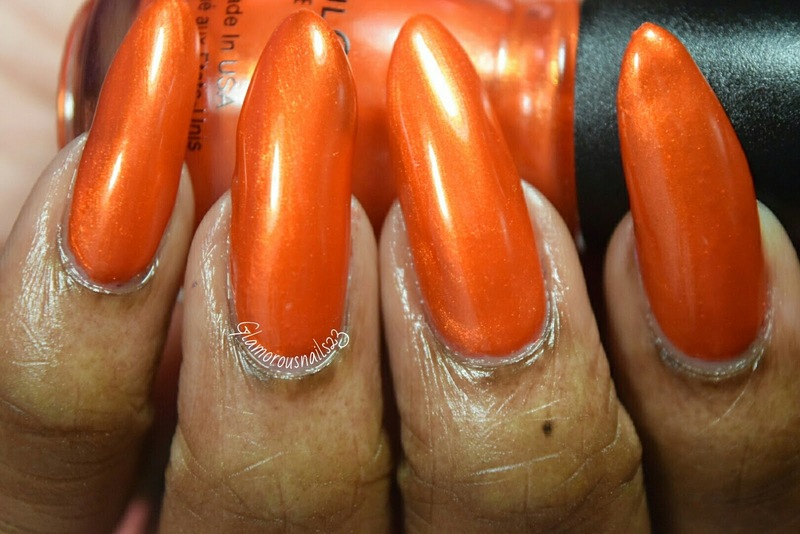 Courtney Orange is a reddish-orange creme polish that has a very subtle shimmer to it. The formula is smooth with good coverage. The first coat was sheer and I thought this was going to be one of those polishes that were going to be a little bit finicky but it did build nicely. This is such a lovely color it kind of reminds me of that reddish-orange hue that you see in fire. You could probably even use this color for some Halloween nail art. Shown in the photos is three thin coats with a top coat. I have a few polishes in my collection from Sinful Colors but I shall be adding more. 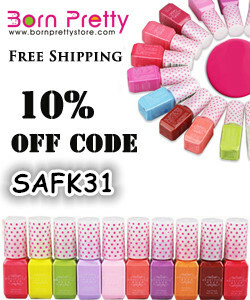 Do you own any polish from Sinful Colors? Any suggestions on ones that I should try? 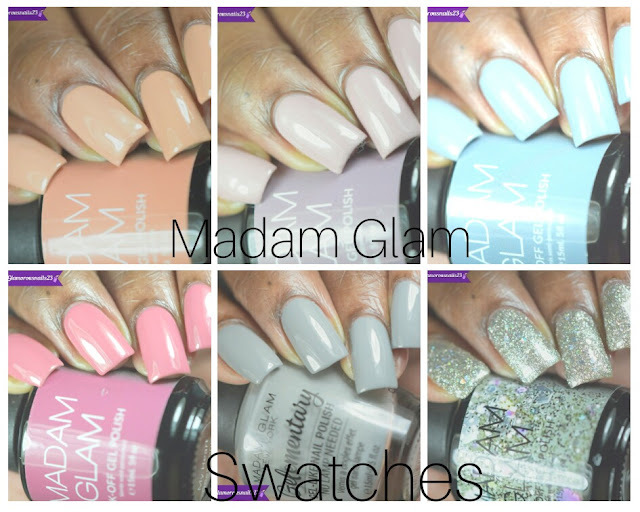 Let's talk sinful colors below!